One surface of glass is polished to precision flatness indicated in table. Second Surface has a standard polish. Both surfaces of glass are polished to flatness indicated in table. Availability: Most items are ready to ship within one week after receipt of order. Place your order: You can call or email us with a purchase order or credit card information, or use the secure form below. 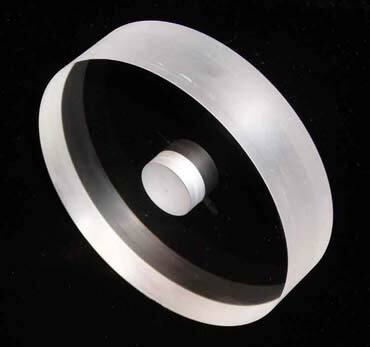 Diameter tolerance: +/- 0.060 inches. Minimum Clear Aperture: 90% of edge-to-edge dimension. For example, in an 8-inch dia. flat, the central 7.2-inch dia. circle would meet the certified flatness. Flatness values are peak-to-valley at lambda=633 nm. Surface roughness: 5 Angstroms rms or better. Parallelism: Typically 5 arc minutes or less. 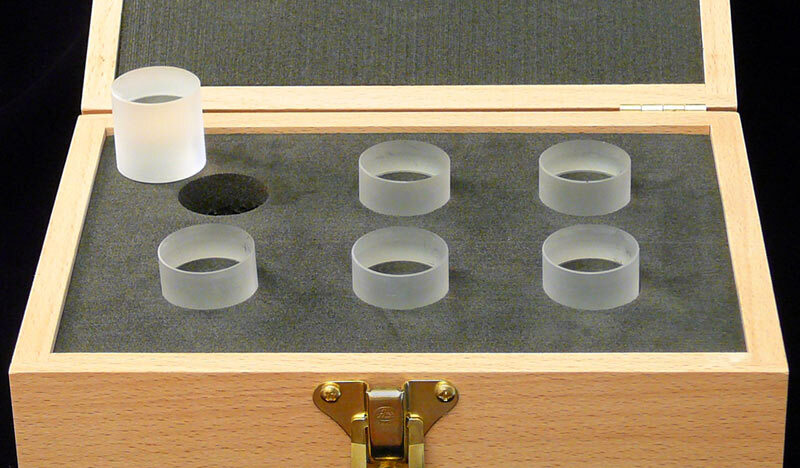 Each optical flat has its own finely crafted storage case. Documentation: Certificate of Calibration and interferogram with NIST reference. 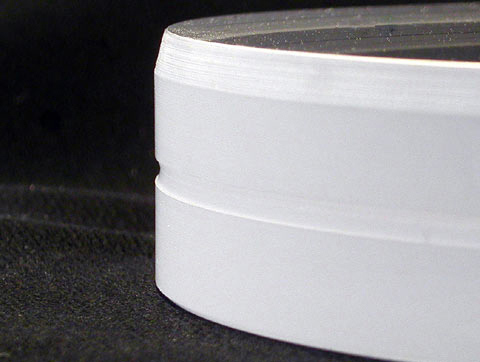 Contrast-Enhancing Coating: This optional TiO2 coating is available for the single-sided flats. 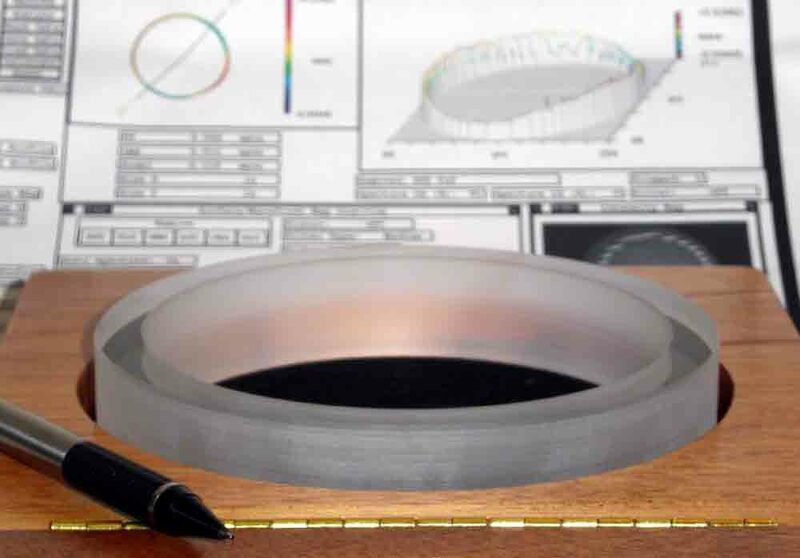 If you would use an optical flat in contact testing and the part to be tested has a flat or matte finish, this coating may enhance the contrast of the interference fringe pattern, which would make the fringes easier to see. This coating does not make the surface more resistant to scratches. 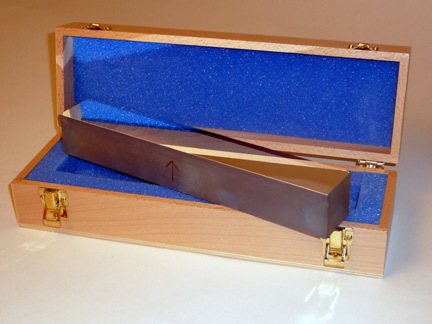 An optical flat, also known as a test plate or a reference flat, is used to test the flatness of glass or metal surfaces that have been lapped. Wen our reference flat is placed in contact with a glass or metal surface that is being tested, interference fringes would be created. The pattern of the fringes indicates the flatness level of the test piece. 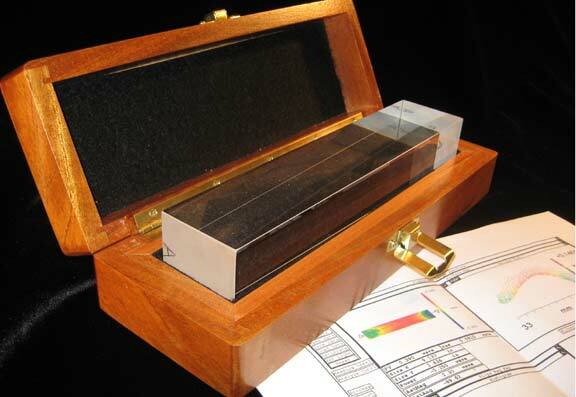 Custom Scientific optical flats are used around the world by optical machine shops to test their finished parts. Our flats are also used by Quality Control inspection teams to test and certify the polish of finished parts. 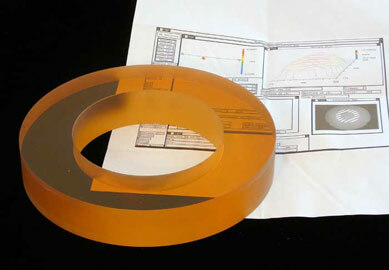 These optical flats can also be used as substrates for precision mirrors. 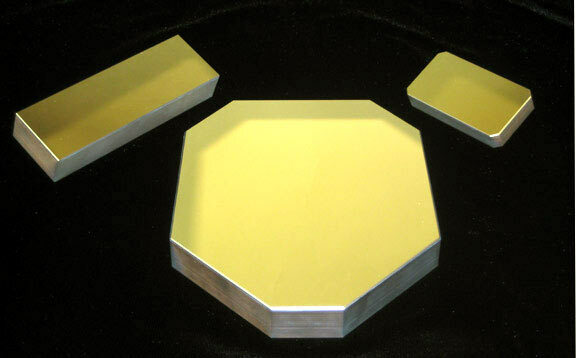 Such mirror coatings are typically Aluminum, Silver, Gold, or a custom dielectric high-reflector coating. You can deposit this coating, or we can do it - contact us for a quote. 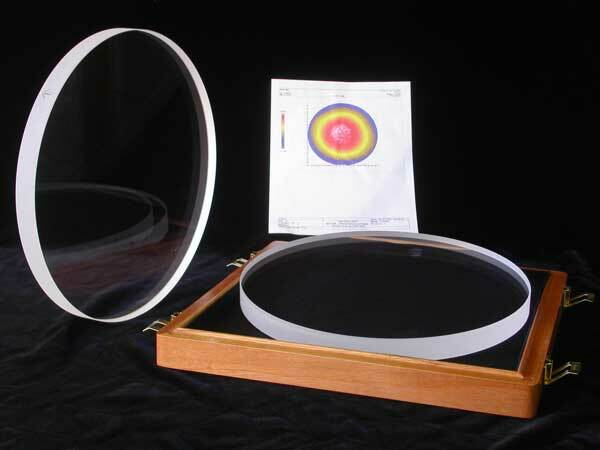 Our standard optical flats that are written in the tables above and have a one-week delivery are designed primarily for contact testing and consequently have a somewhat relaxed cosmetic quality (80-50 scratch-dig). While this is quite suitable for contact testing, if you intend to use these flats as a mirror substrate, you may need a better surface quality which we can definitely provide - please contact us directly for information about that. If you are looking for precision windows where you can control the transmitted wavefront accuracy to a level of lambda/4 or better, then we would need to quote that on a custom basis - Please contact us for such a quote. 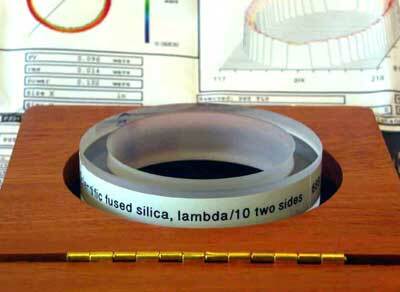 These optical flats are not intended to be used as precision windows (that is, better than around 1 x lambda per inch in transmission) because even though the surface(s) are polished to a high precision, the bulk fused quartz material between the surfaces has a relaxed control of refractive index homogeneity. This means that even though light reflecting off the surfaces would undergo a very small degradation in wavefront, light transmitting through the window would undergo a significantly more wavefront degradation, typically around 3 or 4 x lambda per inch. Please note that the degradation in transmitted wavefront is not visible to the eye - it would look like an excellent window - if you were to measure it on an interferometer the readings would show the wavefront degradation. If you need a precision window which has good transmitted wavefront accuracy, please contact us and we would provide a quote. We do precision windows routinely, but not in a stock program like the optical flats. 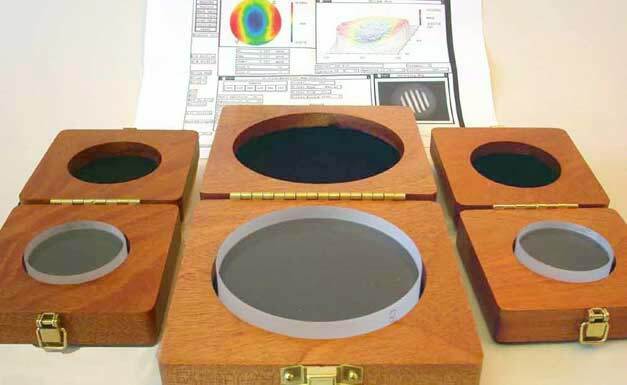 We can repair or certify your optical flats. Please contact us for a quote. Please contact us to request a quote. Special physical configuration - holes, notches, special bevels, custom thickness, specified wedge or precision parallel, etc. Other glass materials - Zerodur, Clearceram Z, BK-7, Borosilicate, etc. Special surface work - ground surface, different flatness levels, special cosmetic quality such as 10-5 scratch-dig. Special packaging such as heavy-duty Pelican Cases with foam padding. Set of one inch diameter optical flats - 3 arc second parallelism. 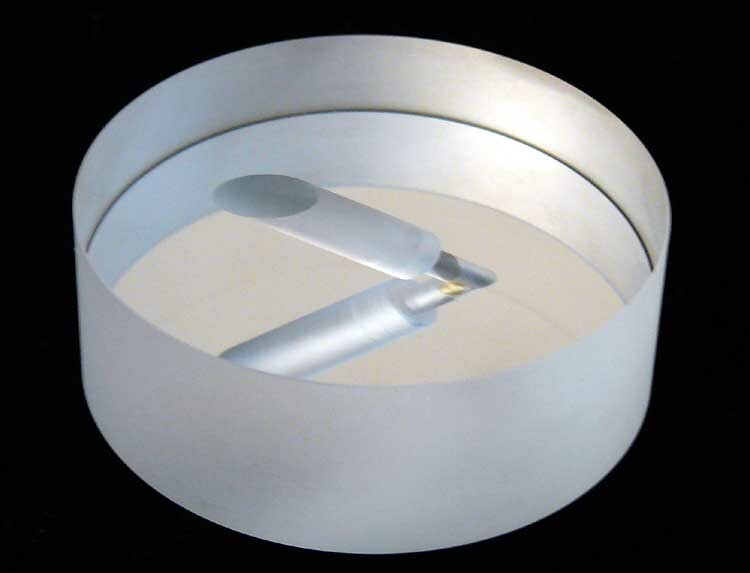 Fused silica optical flat, 18"x2", lambda/15 peak-to-valley. 10"x10" square optical flat, 1.5 inches thick. 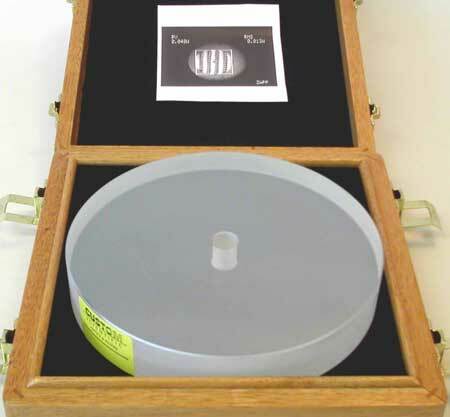 Optical flat in the shape of a ring for measuring the figure of a flat surface that has a protruding shaft in the middle of it. Optical Flat with a thru-hole. 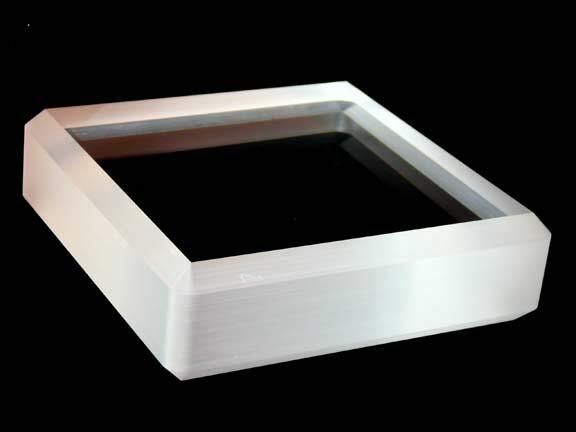 9.5" x 2" rectangular optical flat made from fused silica. Rectangular optical flat with a gold coating. Optical flat with a groove and a beveled edge. 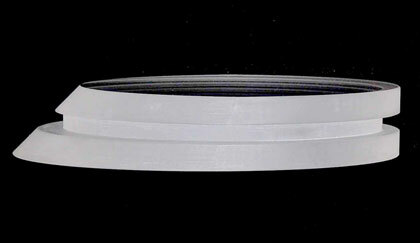 Mirror substrates flats, 13 inches diameter, 1-inch thick, lambda/4 flatness. Optical flat with rounded corners. Zerodur optical flat with hole. 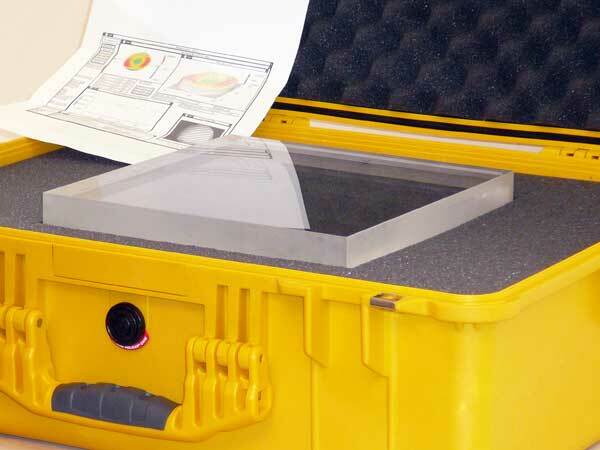 Large Square flat in a heavy-duty Pelican case. A flat with a thru-hole (donut flat). 3 inch OD with a 2.5 inch ID. Aluminum-coated mirror with thru-hole that has counter-bore. This hole makes a 45 degree angle with the surface. The diameter of the hole changes in the middle of the substrate. 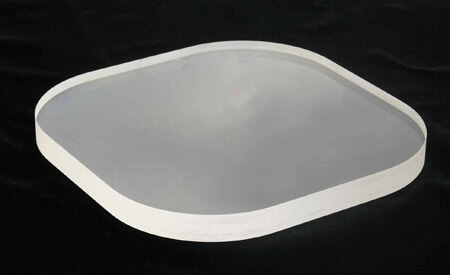 Fused Silica Window with beveled edge. Optical flat with a very thin wall, high flatness and parallelism. 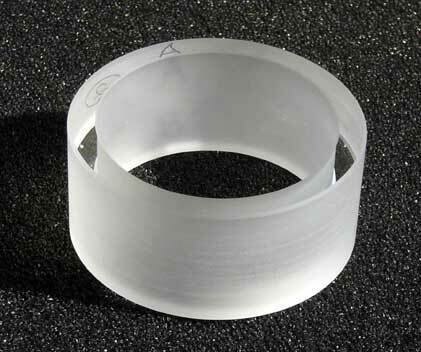 Optical flat with a groove and an acute angle, used as a beamsplitter substrate. Optical flat with a blind hole. This hole has one opening to the back surface. The flat surface is unbroken. Contact Us if you are ready to request a quote or to talk about your design. Please check out our Optics Cleaning Kit.